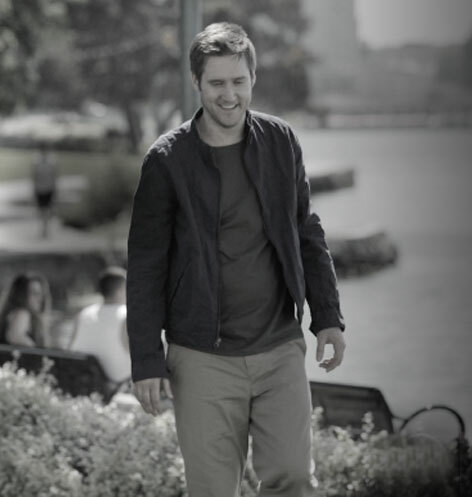 If you're thinking, “What could improved walking mean to me?” it may help to see people with MS-related walking difficulty who had improvement in their walking with AMPYRA. AMPYRA® (dalfampridine) Extended Release Tablets, 10 mg, is the first and only brand prescription medicine indicated to help improve walking in adults with multiple sclerosis (MS). This was demonstrated by an increase in walking speed. Who should not take AMPYRA® (dalfampridine)? 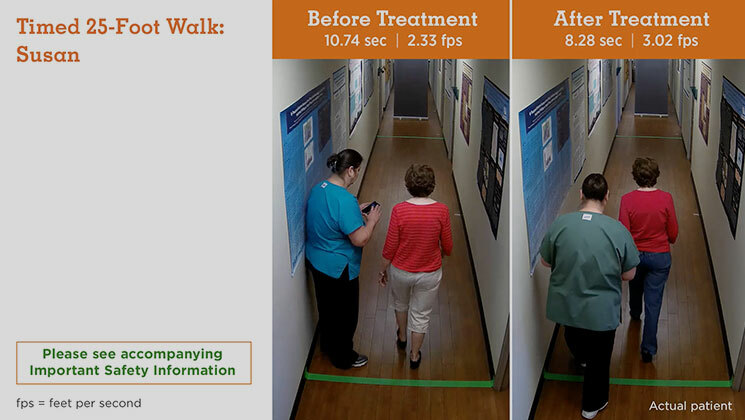 In clinical trials, the effectiveness of AMPYRA was assessed using the Timed 25-Foot Walk (T25FW), a simple and reliable measure of walking ability and a standard assessment used to evaluate walking in people with MS.
During a T25FW, patients are asked to walk 25 feet as quickly and safely as possible while timed in their doctor's office. 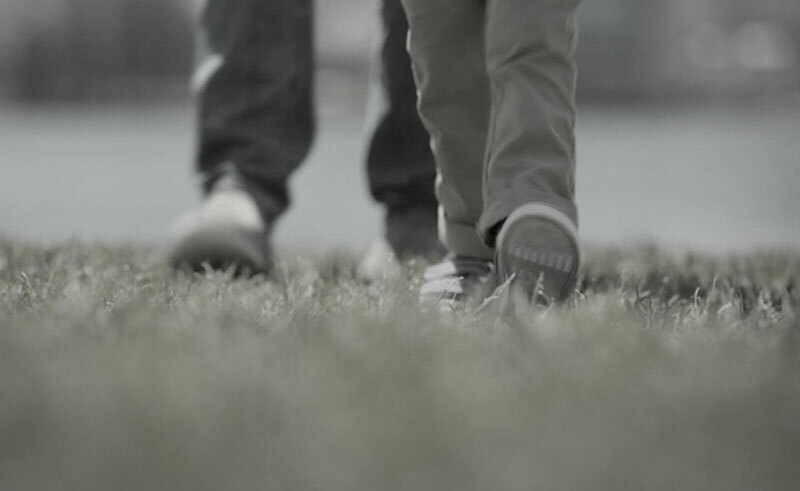 The resulting score helps doctors evaluate walking speed. The response shown in these videos is typical of a person who responded to AMPYRA in the clinical trials. Please note that this is a depiction of improvement in walking at a single point in time. 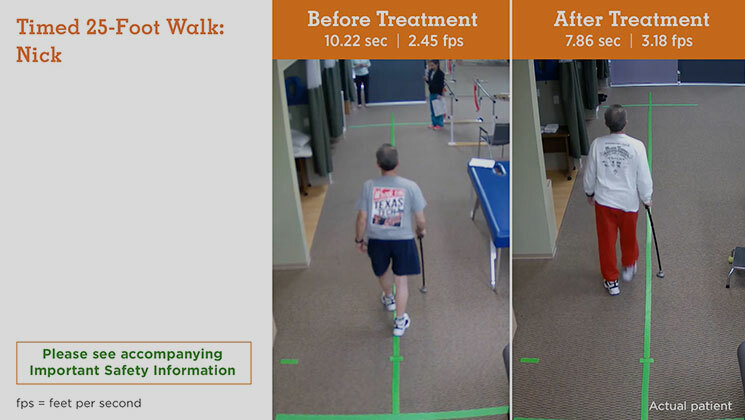 Some patients experienced improvement in their walking ability within a couple of weeks. Others noticed improvement up to 6 weeks after starting. According to a 2011 study, it takes approximately 2.8 to 5.2 seconds for an average person without MS to complete the T25FW. 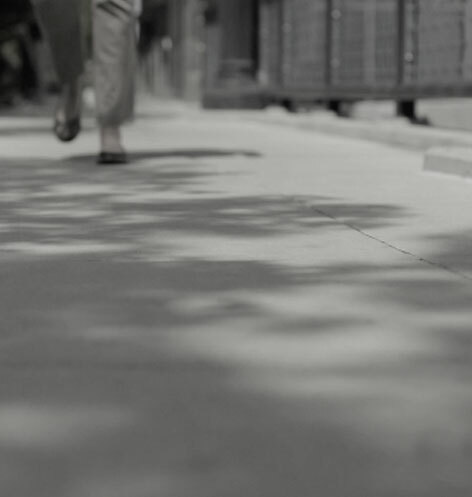 If you think your walking may not be up to speed, ask your doctor if AMPYRA may be right for you. 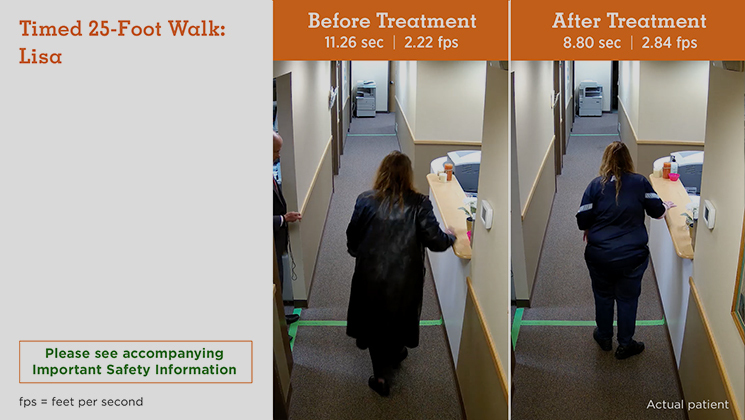 The people shown in these videos performed a Timed 25-foot Walk during 2 doctor's office visits: before taking AMPYRA and again after having been on treatment. 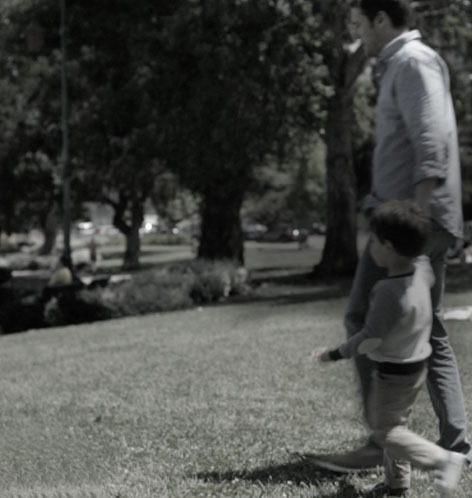 The T25FW is a simple and reliable measure of walking ability and a standard assessment doctors use to evaluate walking speed. Before taking AMPYRA, tell your doctor if you are taking any other prescription or OTC medicines, such as cimetidine. PREV | What is AMPYRA? Have Multiple sclerosis (MS)? Tell us about it. We'd like to better understand your needs. It will only take about a minute. Do you have time to take a quick survey?